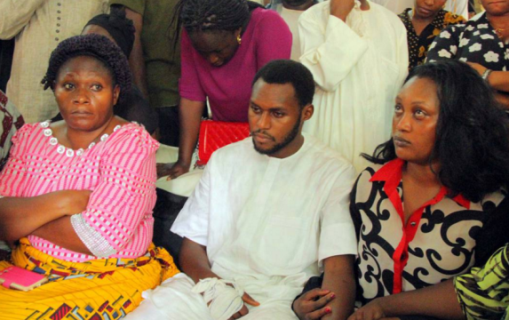 The Federal government has offered automatic employment at the Federal Ministry of Justice to Aaron Ocholi, the only surviving son of James Ocholi, Minister of state for Labor and Employment, who died alongside his wife and son in a fatal accident along the Kaduna-Abuja expressway on Sunday March 6th. ‎ Attorney General of the Federation, Abubakar Malami, disclosed this today when he visited the bereaved family. Malami also disclosed that the late Ocholi’s other children will enjoy scholarship programmes from the Federal Government. Aaron is a law graduate who was called to bar in October 2015. “I am here to convey Mr President’s condolence message and he has asked me to personally inform you that you have been given automatic employment in the Federal Ministry of Justice. The employment letter is in process and you can resume work after now. Your father was a very hardworking and conscientious member of the Federal Executive Council who was very passionate and worked hard for the realisation of the change agenda of this government. Indeed, it is a sad moment for all of us and the vacuum which his death has created is not only for the family, but the leadership as well. He was a great pillar in the struggle which brought this administration to power. He played a major role in the merger process,”.